We go about our lives seeing but not looking, hearing but not listening. Umasankar’s poetical gift is looking for beauty, or some meaning, in everything he sees. 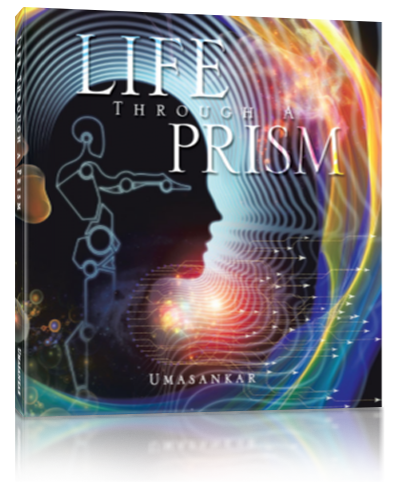 Life Through a Prism is a broad collection of his poetry in which he considers the wonder of nature and both the excitement and reality of college life. Some of Umasankar’s earliest saved works are from his engineering college days. Just like any other young man, his days were filled with excitement, activity, trust, letdown, melancholy, and new hope. He captures these feelings eloquently in poems like “First Love, An Evening in College” and “Canvas,” among others. His harmonic verses on nature and beauty include “Beautiful Morning” and “God’s World,” where he considers the beauty and magnificence of the artistry of God’s creation.